Seems to be a lot of rhetoric about the demise of economies with Fiat (paper based) currencies – they should all be “Gold Based”. Statements are uttered to the effect that without a gold based currency we will head into a hyper inflationary environment just like Zimbabwe and the Weimer republic. This isn’t to argue about the various “flations – more why Gold? Gold is somehow perceived as a safe haven resource – it has no cash flow, no actual value except for the fact that it is pretty and the value is determined by what the next guy is willing to pay. Gold has a distribution in the Earth’s crust of about 4 pp -k inda rare. Platinum is at 5ppb. Why isn’t Platinum considered a safe haven, about the same amount of it on the planet? How about Rhodium – even rarer 1 ppb. Maybe we could use that! I think the difference is that Platinum was only “discovered” in 1748 and Rhodium in 1803. Gold has been around as a medium of exchange since 600 BC. 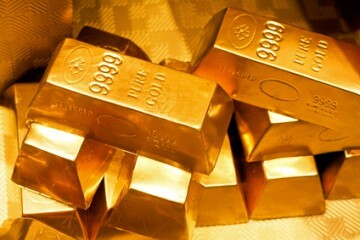 The rational for Gold as a reserve is based upon the belief that there is an accepted value of what it is worth. Some would argue that it’s worth is subject to the great fool theory. Greater fools such as politicians – those that can manipulate its price and supply by political rhetoric or confiscation? Having a currency backed by an asset that is potential subject to greater fools is no different to having a fiat currency. Fix the spending and entitlements and the chatter about Fiat vs asset backed currencies goes away. The supply of money should be linked to the per capita growth. The more people in an economy the more money should be in circulation – fewer people – less money. This isn’t an economic paper I could be dead wrong about this theory but its my blog and my musing.